The release of Diablo III for PC and Mac is less than a month away, but if that’s still too long of a wait for you then you’re in luck: today marks the start of Diablo III’s Open Beta Weekend. The event will run from today until 10AM PDT on Monday, and is open to anyone with a valid Battle.net account. The goal is to have as many people playing as possible to stress test the servers. Beta players will be allowed to log in, team up with friends, and play all five classes as much as they please, up to level 13. Read on for more details. I don’t have a Battle.net account — can I still play? 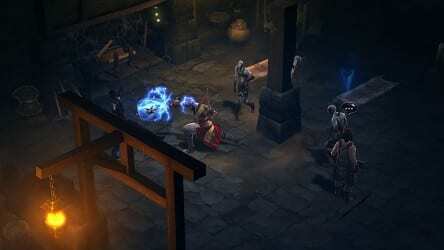 Diablo III open beta gameplay will allow players to fight through the first act, up to their encounter with the Skeleton King. A variety of other in-game features will be available to try out, including crafting at the blacksmith, earning achievements, and buying and selling at the auction house. Three days is a relatively short time to test everything out, so if you’d like a shot at Diablo III before it hits stores on May 15th, head over to Battle.net to get started.